“Artistic” isn’t the first descriptor that comes to mind when entering the anatomy lab. Stuffy, smelly, drippy, disgusting are more common adjectives. But every medical student is issued a guide upon entering this strange world. For me, my Virgil was Grant’s Atlas of Anatomy. I affixed a plastic cover over it in a vain effort to keep it clean, but the pages inevitably became crinkled from formalin, stained from juices of preferably uninvestigated origin, and gristled from sweaty hands desperately trying to divine the enigmatic roadmap of the human body. The technical instructions in the atlas were a godsend, but I was most taken with the drawings. In an era when photographic exactitude or computer rendering could have provided perfect similitude, the authors of this book and other comparable atlases chose to offer drawings. These grayscale drawings rendered the human body in exquisite intimate detail. Thinking back to this now, I realize that what entranced me about these drawings was that I could imagine a person actually drawing them. When the picture showed forceps deferentially moving aside a muscle to reveal the delicate underlying vasculature, I could envision one hand of the artist holding those forceps, while the other furiously sketched the treasure beneath. Anatomy atlases created from CT or MRI images didn’t elicit the same response in me. Those books were helpful, to be sure, but they felt impersonal, objective. I didn’t have any sense of anyone “doing” those images, though I certainly knew there had to be actual humans running the machines and creating the books. But the drawings of Grant’s Atlas and Gray’s Anatomy and the brilliantly colored Netter books all retained traces of the human hand, traces of the artist. I could picture the authors separating viscera with their (hopefully) gloved hands, all the while considering how best they could bring to life—as it were—the dead who lay before them. Artists, of course, have always strived to bring their subjects to life on the canvas and the human figure remains the most challenging subject. But the desire to delve beneath the skin is a particular blend of scientific drive and esthetic rigor. 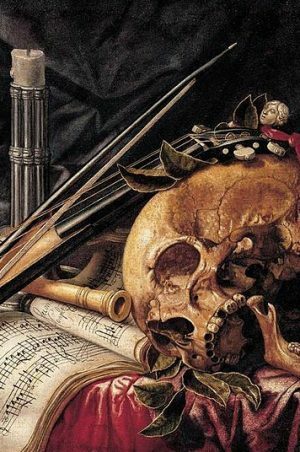 This combination was clearly on display when Renaissance physician Andreas Vesalius published his De humani corporis fabrica in 1543. Having honed his dissection skills on the corpses of executed criminals, he sought to transmit this knowledge visually in a seven-volume series that was an immediate best-seller. Vesalius’s primary contribution to anatomy was accuracy. For the preceding millennium, physicians relied on the flawed descriptions of Galen, who had based his knowledge on animal dissection and his own intuition. Vesalius instead worked from direct observation of human cadavers. But De humani corporis fabrica was equally famed for its artistic skill and sense of style. Simply transcribing what he saw was not enough for Vesalius. He directed the artists he worked with to set their human figures in the sylvan countryside. Villages, church steeples, rolling hills, rivers, and bridges appear in the background. Even more dramatically, the figures were shown in action, often in agony. As layers of muscles are peeled off, the bodies droop from lack of support. Knees buckle and torsos keel. Heads loll—sometimes from dissected musculature, other times from a hangman’s noose. Heads end up in the palm of the hand, though not before a clean transverse slicing of the cranium to reveal the inner ventricles. Even the bare skeletons appear capable of conveying emotion. Vesalius’s skeletons seem to express contemplation, anguish, despair. Inspiring his artists to the heights of creativity, Vesalius produced a masterpiece of anatomical artistry. Sixty years before Vesalius burst onto the scene, however, another artist was hard at work with his own vivid and accurate anatomical drawings. In the late 1480s, Leonardo da Vinci obtained a human skull. Fascinated by this ornate natural sculpture, he began a series of anatomical drawings of the skull, apparently planning a magnum opus of the human body. But either he didn’t have access to more human material or he simply got caught up in a myriad of commissions, because another fifteen years went by before he returned to human anatomy. When he did return, though, he had access to full-body cadavers and thus set out to chart the entire human body. As a consummate scientist-artist, Leonardo was as concerned with discerning the way the body worked as with how the body should be rendered. While it’s impossible to conjecture motivation, one might imagine how the exquisite beauty of the body’s undercarriage propelled the scientific scrutiny. Leonardo’s resultant output was a tour de force of the human body. He indubitably produced the first anatomically accurate rendering. His cross-sectional “cuts” and multiple points-of-view presaged modern anatomical teachings. Additionally, he elucidated much of its physiology, most notably of the heart. He elucidated the four-chamber structure, the conical pumping of the heart and the intricate functioning of the aortic valve. His drawings and explanations would have been sufficient to unseat the thousand-year reign of Galen’s erroneous theories. Yet Leonardo chose not to publish his work. His revolutionary ideas and art sat untouched. Vesalius reached many of the same conclusions—at least anatomically—a half-century later. But because of Leonardo’s earlier silence, Vesalius became the one who toppled Galen. It’s not clear exactly why Leonardo did not publish his seminal drawings. It may have been due to the political turmoil in Milan, or the abrupt death (from bubonic plague) of his sometime anatomy partner Marcantonio della Torre, or simply that he got sidetracked into other intriguing ventures such as elucidating embryology, designing wells, or painting landscapes. Whatever the case, his more than 700 groundbreaking drawings, and countless notes remained essentially unknown to the greater world for some 500 years. Some scholars speculate that Leonardo may have made a conscious decision to keep his drawings private. (His frequent habit of mirror-writing might have been an active method to keep his work to himself). One wonders if Leonardo might be been more actively focused on the process of learning and drawing rather than on the product of these endeavors. We the public are grateful that at least some of his product finally saw the light of day, but there is much to be gained by concentrating on the process. The drawings in the book before you are a result of the attention to process. 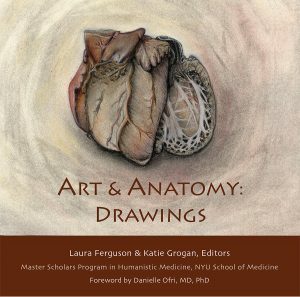 The medical students who participated in Art & Anatomy were not training to become artists, but rather taking their first steps toward becoming physicians. 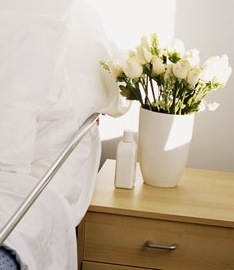 Spending extra time with patients, even deceased ones, is crucial for developing the doctor-patient connection. 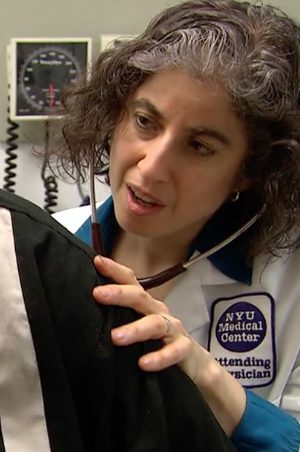 Learning the ins and outs of patients—physically and emotionally—are all part of the process of becoming an astute physician. Developing creativity and sensitivity is necessary to transform a doctor who is smart into a doctor who is wise. Medical training is typically a frenzied affair, with vast tracts of knowledge bulldozing their way into the minds of students at a tumultuous pace. One thing students rarely have the opportunity for is contemplation. Art & Anatomy is one of the few oases within medical school where time and space are carved out for this. The photos in this book portray the deeply focused contemplation of the students; the relationship between student and object is palpable. This is particularly striking in the drawing “Hand Holding Hand” by Amy Ou (p. 67). The student places her left hand over the skeleton of a left hand, and then draws both with her right. It is an image both intimate and unsettling. Art & Anatomy also allows students to contemplate the emotional resonance of what they are experiencing. As student Karen M. Ong noted, “I had never before confronted death in any significant way,” (p. 107) a sentiment likely common to the vast majority of first-year medical students. Anatomy lab can be a particularly overwhelming way of meeting death for the first time. Approaching it through drawing—focusing on a single bone, or one particular organ—can offer a more accessible entrée. The very specificity of this experience encourages more nuance: considerations of beauty as well as grief, reflection as well as education, form as well as function. One of the more chilling moments in the standard cadaver dissection is the bisection of the head. After the brain has been removed, students use a power saw to slice the remainder of the head in half, with a clean slice down the middle. This renders clear an otherwise incomprehensible anatomy of the head. For my dissection team, this was a chasm that stopped us dead in our tracks. Cutting open the breastbone and mucking around in the thorax was one thing; cutting through the head was orders of magnitude more terrifying. We’d kept the face of our cadaver covered until that point. But now we had to face her humanity and also violate it. Drawing straws, it fell to me to wield the saw. As I powered it through the layers of bone and muscle, gritting my teeth and my emotions, I thought about the dissectors of yore. I thought about Vesalius and Leonardo, who had undertaken these very same cuts centuries earlier, albeit with cruder tools. I wondered how they navigated the fraught negotiations of humanity versus inquiry. It is an incongruity that every medical practitioner must wrestle with. Michael Malone’s “Bisected Head” (p. 115) confronts this paradox directly. The left side of the head is the cadaver’s face in its untouched state. The right side of the head depicts the fully bisected and dissected head. Yet the two parts are drawn nearly connected, so that the head almost feels both whole and dissected at the same time. The face of the woman and the underlying structures that create that face—as well as the cutting the student has done to reveal those structures—are able to be joined together in a way that would be difficult in real life. The artistic rendering enables us to appreciate the emotional grappling one must do in the world of anatomy and in the larger world of medicine. The “art of medicine” is a term that is used—sometimes disparagingly—to refer to the non-technical skills of medicine. Certainly Vesalius and Leonardo amply demonstrated that the art of medicine can be extremely rigorous even while being remarkably aesthetic. The students who spent these additional hours in Art & Anatomy had the benefit of being steeped in the literal art of medicine. Readers of this illuminating book will have that chance too.